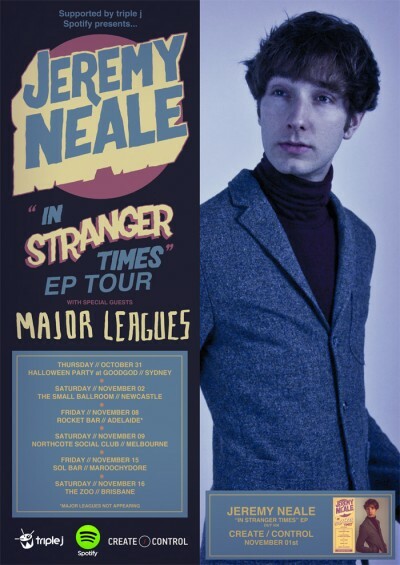 Brisbane’s pop wonder Jeremy Neale returns to the Danceteria to launch his long-awaited debut EP in a Halloween blow-out! In his final headline tour of 2013 after a year that has seen him hit the road with The Preatures, Gung-Ho, Ball Park Music and Surfer Blood, he’ll be coming to the Small Club to launch the ‘In Stranger Times’ EP with buddies Major Leagues. With four great acts and Halloween in the air, this is gonna be an unforgettable one!